WordPress was introduced as a blogging platform by Matt Mullenweg back in 2003 but it has gradually evolved to become the most popular content management system today. WordPress is an open source CMS/publishing application that is supported by a large community of programmers and developers. The power of WordPress as a CMS solution is constantly being proved with new and updated themes, plugins, fixes and other functional additions. 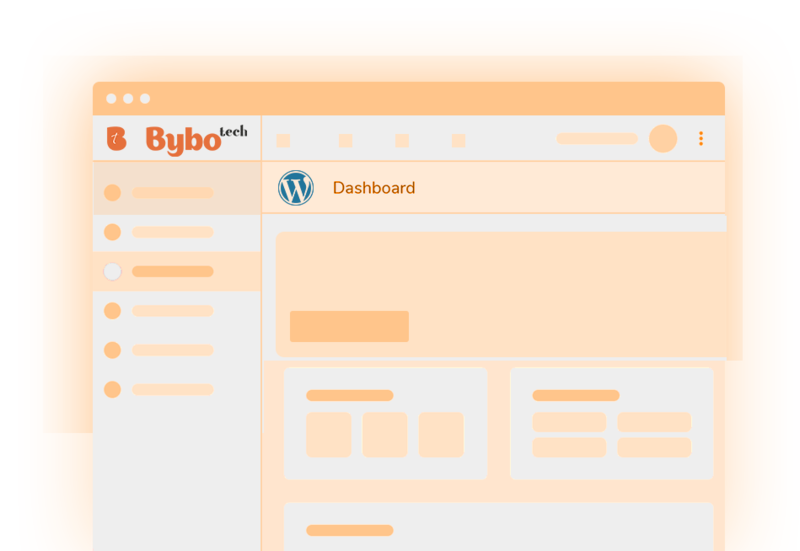 WordPress as a CMS allows the user to manage all types of content from a single interface. Webmasters are also allowed to modify, edit, change and manage their websites in any way they find suitable. WordPress just makes the process of having and managing a website easier, such that even a person with little technical knowledge feels comfortable and confident. We can enhance performance and capabilities of your WordPress site with various optimizations including performance, conversion, and search engine optimization. By responsive web design, we optimize it for mobiles. By different integrations, we optimize it for upcoming technologies and trends. We keep websites contemporary in offerings, secure, and smoothly running by providing comprehensive maintenance services through flexible and affordable packages. We run regular monitoring, debugging, and integration of upcoming technologies or services to give an edge in the market. We are an amicable team of WordPress talents sharpening our nails with the latest WordPress technology updates and tools. We have delivered end-to-end WordPress solutions right from personal blogs to the corporate web portal and giant ecommerce solutions.